The last elections taught us something substantial about scientific rationalism and politics: Science was absent from the presidential debates despite that 84 percent of Americans ranked science, innovation and health care as the third most important topic in a debate, after the economy and taxes, and foreign policy and national security. ScienceDebate.org also revealed that 81 percent of likely voters would prefer public policies to be based on science, not the personal opinions or beliefs of elected officials. The fourth favored topic for a debate was the environment. Disappointment aside, the needed discussions about science controversies and the elections were brought onto our university campuses by the faculty and students, and there are two examples relevant to my later story here —an emerging inter-institutional New England initiative— on how to translate science to the public without the filters of ideology or political pollutants, although it is a challenge nowadays to disinfect science from the menace of “cultural common sense,” which is ubiquitously prized but often wrong. The first event was a panel discussion, on Oct. 24, at the University of Massachusetts Dartmouth (UMassD): “What’s Your Fracking Problem,” a title that helped fill the brand-new Claire T. Carney Library Grand Reading Room. Hydraulic extraction of natural gas, climate change, energy policy and evolution were examined by professors in the civil and environmental engineering, public policy, and biology departments. The scholars revealed distressing statistics about the United States: acceptance of climate change as a reality, favorable views toward alternative sources of energy, and pro acceptance of evolution and stem cell research were ideologically divided with only 56 percent of the general public, 71 percent of Democrats, 60 percent of independents and 42 percent of Republicans supporting them. Roger Williams University, in Bristol, Rhode Island, organized an earlier and comparable event on Oct. 16: “Scientific Controversies and the 2012 Presidential Elections” at the impressive Global Heritage Hall and its adjacent Communications Department. The student movement “Hawk The Vote” managed the show uniquely and with immediate tweeting of an online-televised faculty panel facing vivid audience opinions over sustainability, nuclear waste, the science of reproduction in the context of women’s rights and health care. Hundreds of students networked in the RWU campus using their cell phones for something meaningful, profound: the debate on science and the elections became theirs. These two universities have a powerful faculty and student potential in common, a desire to transcend, to make a difference, and collaborate by bringing science debates directly to their own public with no stoppers of thought or restraints on logic. And it is here that my story over the New England Science Public initiative makes sense. Since 2007, UMassD and RWU professors have led an intercampus outreach collaboration through Biology New England South aiming at gathering sister institutions in the area to discuss science, network research collaboration, offer a forum for formal presentation of studies and make an impact on the regional communities. More than 1,300 students have participated at the annual BioNES meetings —which take place at RWU— during the past six years (representing UMassD, RWU, Brown University, Tufts University, University of Rhode Island, Providence College, Rhode Island College, University of Connecticut and Salve Regina University), 50 professors have presented papers (four world specialists in science communication as keynote speakers), 40 graduate and undergraduate students have competed for the BioNES prestigious awards, 15 awards have been granted to the best student oral presentations, and 220 posters have been exhibited. The BioNES initiative has seeded future challenges for New England Science Public, which will assimilate BioNES and work across campuses to outreach the communities and disseminate correct interpretation of science. NE-Science Public will sponsor simultaneous events across institutions to celebrate iconic scientific achievements, their relevance and value in modern society. 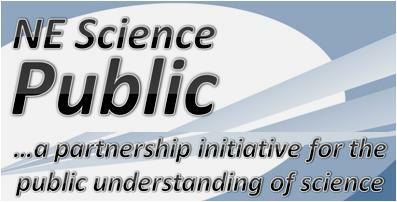 Via the New England Science Public: Series Evolution, the initiative will publicize meta-data documents nationwide on trends in attitudes toward science and its controversies.